Sample, Asian Taste has been Raleigh’s earliest and most unique chine restaurant. Our food has been and still is served with freshness and nutritious ingredients. 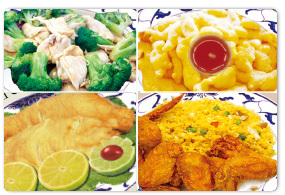 The flavoring of our food is different among the other Chinese restaurants in town. You can only find our delicious tasting General Taos Chicken, Chicken wings, and Crab Rangoon etc. in you r restaurant. Despite the fact, our rich tasting food and friendly service has brought in many new and return customers.